?Barcelona have reportedly made a stunning move to steal a march on arch rivals Real Madrid in the race to sign Manchester United striker Marcus Rashford. The 21-year-old struck the first goal of the new Ole Gunnar Solskjaer era for United during the Red Devils’ 5-1 win over Cardiff City in the Premier League on Saturday, arrowing home a smartly taken free kick to send his side on course to victory. The England forward’s stock has continued to rise, despite the series of problems at Old Trafford this term. 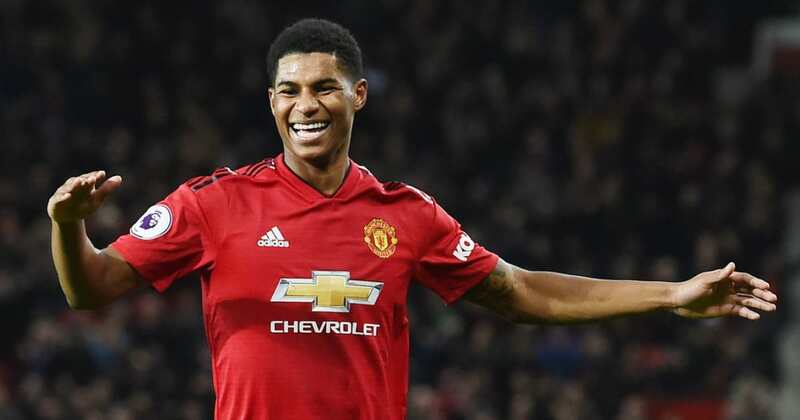 According to the ?Express, ?Rashford’s status as one of the brightest young strikers in Europe has attracted the interest of ?Barcelona, who will seek to beat ?Real Madrid to his signature. Los Blancos are also said to be keen on luring Rashford to La Liga, along with Italian giants ?Milan, with the United forward’s future at Old Trafford seemingly uncertain. Rashford had been in the thick of troubles under Jose Mourinho this term. However, unlike a number of the more senior ?United stars whose careers have stalled under the Portuguese, Rashford remains very much one for the future, despite his regular first team involvement already to this point. “The lads played with a lot of enjoyment and excitement.” ? Barcelona are said to have ramped up their interest in the Englishman recently and would apparently be particularly keen on making a move should rivals Real Madrid take their interest further. The La Liga champions are said to be acute to the potential of missing out on Rashford to their greatest rivals – an outcome which Barca are apparently keen to avoid, should he become available. Rashford is also said to be of interest to Milan, with the Serie A giants apparently keen to bring a marquee signing to the San Siro, despite already possessing Gonzalo Higuain and Patrick Cutrone in their forward ranks. Barcelona, meanwhile, are widely said to be on the lookout for a long-term replacement for star striker ?Luis Suarez, with the Uruguay superstar now 31 and struggling for consistent fitness this season. United, however, also boast Romelu Lukaku, ?Alexis Sanchez and Anthony Martial in their strike force. With Rashford having scored just four Premier League goals so far this term, the Englishman could face increased pressure for his place under Solskjaer’s management.